HomeFront Page PostsGiveaway: Tickets to the Nutcracker! Note from the mamas: Alicia Knotts won the tickets! Congratulations! You know the holidays are getting close when The Nutcracker comes to town. We’ve got FOUR tickets so you and your family or friends can go see the opening night performance at the Walton Arts Center on Friday, December 21st at 7 p.m. This show has become a special holiday tradition for many families in Northwest Arkansas. We’re pairing these tickets with dinner at Bordinos. Woot! ABOUT THE SHOW: The holidays just aren’t the holidays without Clara, The Mouse King and Sugar Plum Fairy. This production of The Nutcracker is performed by the esteemed Moscow Classical Ballet, which is one of the few remaining ballet companies supported by the Russian Government. According to The New York Times, “The troupe boasts a cluster of phenomenal young dancers… and its corps performs in an uncluttered, streamlined style.” Regularly performing at the Kremlin Palace of Congresses in Moscow, they have also performed in more than 30 countries around the world. ABOUT THE FOOD: Speaking of classics, Bordinos is the perfect choice to round out the The Nutcracker experience. Awesome food, great service and a fabulous atmosphere = dinner perfection. Motherlode winners always tell us they’re treated like queens! Click here to see the menu. HOW TO ENTER: To throw your name in the hat for this giveaway package, click the orange comment button below and tell us what you’re hoping to find under the tree this year (or what you’re hoping to receive during Hannukah). Are you having visions of sugar plums or are you dreaming of a diamond earrings? Hoping for some new clothes or maybe just a long winter’s nap to rest from all the holiday preparations? 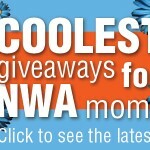 You can also enter the drawing by sending your answer to giveaways@nwaMotherlode.com. HOW TO INCREASE YOUR ODDS: Help us spread the word about this giveaway to your friends and family and we’ll give you an extra chance to win for each person you tell. Just send a note to your friends and be sure to put giveaways@nwaMotherlode.com on the CC line of your note so we can give you proper credit. As you know, this show is well-known and extremely popular. So if you’d like to guarantee your seats, click HERE for ticket info or call the Walton Arts Center Box Office at 479-443-5600 to purchase tickets. Good luck in the giveaway drawing. As always, winners are chosen at RANDOM. 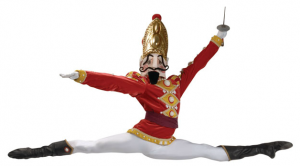 Giveaway: Win tickets to see The Nutcracker at Walton Arts Center! Giveaway: The Nutcracker tickets at Walton Arts Center! I’m hoping to find plane tickets to an island vacay for just me and the hubby. I am hoping to find a new watch! Not really hoping for anything other than smiles on my kiddos faces when their Christmas wishes come true! I would love to find a new pair of leather boots! Hoping for a massage to relax after all the holiday craziness. I’d love to find a bottle of Coach Poppy with my name on it but I’m even more excited to see my kiddos’ gifts all ready to go under the tree. Those are the most fun to help open! My husband broke his foot stringing lights. I hope to find a fully functional husband who is pain free and able to provide for the family under the tree. The same husband…I’m not looking for a new one. I just want my family and friends to be happy and healthy this year. I am hoping to find money so that my medical bills can be paid. A smile for my Daughter. I would like a new coffee maker, but as long as she gets everything she wants. I will be thrilled. I am really hoping to find a kindle under my tree! I am hoping to find an Erlewine neck jig under my tree. I’m hoping to find a monogram necklace in my stocking! This might sound cheesy, but it’s been a tough year, I would love some happiness and cheer and no more sad! There it is…. :) Come on happy! Already received a great cover for my Kindle for Hanukkah! For the first time maybe ever I don’t have a wish list 🙂 My Christmas wish is just to make sure my son (who is 5 today!) has another wonderful Christmas. I’m hoping to find a restful time off from work and a good time with my granddaughters! Wishing for a new camcorder…mine stop recording about 6 months ago and I feel like i’ve missed so much!! I would not keep this for myself but give it to a family that I know. They have so little and this would be a wonderful treat for them!!! I am a volunteer at Walton Arts Center so I have been blessed to get to see this program multiple times and would love to share it with others. After a challenging few months, I am going to just be thankful that my family is all together. There is really nothing I want under the tree…I have everything! 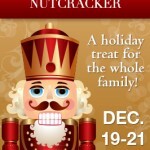 I want to go to the nutcracker…hoping for tickets for Chridtmas! I just want to be surprised! I’m hoping to find all the perfect present for my kids under the tree this year .. I just want it to be about them .. I want them to experience the “magic” of Christmas and be excited about the gifts they receive! I am hoping for a new digital SLR camera!! Lots of new books for my e-reader. I hope to receive a ring!!! I just want to see lots of smiles on my kids’ faces and good smells coming from the kitchen! I already recieved my Christmas gift that I want, and that is that my husband is home this year from work and will be home for the holidays! Thanks for having this awesome giveaway! I’m hoping to find some DKNY perfume and an ereader! I am hoping to find a cute pair of shoes! Time spent with my family! And some new clothes! Im hoping to find a Dyson under the tree! I am hoping for more time with my husband and family this season and in the coming year!!! Hoping and planning on family time . I just want to have both my children home for Christmas at the same time and with enough time to really spend with my little grandson. Would love to find some gift cards to the cute little boutique shops in Fayetteville!! I’m hoping to find my mortgage paid! Big wish! I don’t want anything under the tree- just love to see the faces on my children and grandchildren as they enjoy the Christmas. To take my daughter to the Nutcracker would be awesome. That would be a huge Christmas present for us. A tablet of some sort would be so exciting! I’m hoping for a calm and peaceful Christmas to enjoy making memories with the little people! I have never eaten @ Bordinos or seem The Nutcracker!!! I would love to do both! I don’t have anything in particular I am hoping to find under the tree. I mostly look forward to seeing the joy and excitement in my children’s eyes. I have three children. I hope want brings them all they have wished for! A fixed mountian bike with a child bike attachment! It may not be under the tree, but the smiles ang giggles that come on Christmas morning are my favorite!!! Just looking forward to some family time! I would LOVE to take my daughter to this show!! I’m looking forward to calm, peaceful times with my family. The presents are just an extra bonus. I am hoping for lots of fun with family members and tasty treats! I am wishing for a new winter coat. My wish for Christmas is to watch my children’s bright smiling faces as they open the gifts under the tree! I am hoping for some rest while my 14 month plays with all the new toys she is getting! I would love to take my daughters to see a true classical ballet! It sounds amazing!! Sounds magical and hope to take my girls. Would it be too much to ask for a year of merry maid service?! And a professional organizer wouldn’t hurt either! Ha! We could desperately use a date night…this would be fun! My aunt she is in the hospital and my wish would be her to be home with us for Christmas it would be the best gift. Hoping for a family vacation cruise from Santa! My Christmas wish this year is to celebrate Christmas with my family and remember the true meaning of Christmas and to be thankful for what I already have and not for what’s under my tree. Those are the true blessings in life. My son has joined the Air Force and will be leaving soon. I’m just thankful I’ll have all my family together this Christmas. YAY for FAMILY!!! would love to find a 50mm lens under the tree or tickets to Hawaii! I would like to see my kids smil and enjoy what they find under the tree. A stack of good fantasy novels would be a bonus. For the holiday season, I am hoping to find rest and some time with my family! I need a moment to relax and feel love and hear laughter! I’d love a couple date nights with my husband 🙂 But I dont know how well that fits under the tree! I just want my daughter to have a special day, so anything that will make her happy is what I want under our tree! I would love some tickets to see Maroon 5 in Tulsa!! I would love tickets to see Maroon 5 in Tulsa!! I just want to watch my girls open their gifts! That’s a gift itself! I’d love to have a kindle fire! My kids and grandkids! A boyfriend would be appreciated, too. Think they’ll all fit under the tree? Hoping to find good health and happiness for the coming year. Would also love to see the Nutcracker! Hoping to find a furry little bunny and that my girls aren’t scared of it! Hoping to find tickets to the Nutcracker!! My kids LOVE it!!!! LOVE this ballet! My 3 year old would be in HEAVEN if she were to get to attend!!!! I am looking forward to my kids smiling, giggling faces by the tree on Christmas morning and a long afternoon nap for me. Hoping to make memories this year instead of debt!! I have never seen this ballet and would love to! Something very exciting….. New Tupperware! I already received what I wanted…a new house. All I want “under the tree” is everything unpacked and time to enjoy our first Christmas in our wonderful new home! I’m hoping to find new sunglasses and a scarf and necklace to replace the ones I lost this weekend. I can’t wait to see the excitement my girls will have Christmas morning! Anything, we are so short on money this year we are buying gifts for the kids. I would be pleasantly surprised to find anything under the tree for myself. Would love to be able to take the girls to see this show. It sounds like so much fun. Im just wanting to make the girls happy this year since money is so tight. Praying for miracles. What I KNOW I will find is the bows chewed off the presents by one of my cats….but what I hope to find are a few new books! I would like to find a new camera battery. I am an amateur photographer. I lost my charger this summer, and I haven’t been able to take any pictures in months. I’m lost without my camera–it’s like another limb! I so wish that I could have a new charger. A little cash to help pay off my own student loans, so I can start paying for my oldest son to head to college soon. This year I am hoping to see peace and life under the tree. I would love to take my little ballerinas to see the Nutcracker!! I don’t really have anything that I’m hoping to see under the tree for me. I enjoy seeing the joy and excitement on the face of my children. I hope to find happy children around our tree on Christmas morning! Love to see those smiles! I am hoping to find lots of love under our Christmas tree! We don’t get tons of gifts as we have 5 kids, but we always enjoy spending the day together!!!! I’m hoping to find tickets to the Nutcracker! Merry Christmas! Under the tree I hope to find no broken ornaments. Our kitty thinks the tree is her new playground! All I want is time with my family. I am hoping for a magic elf to clean and organize my house all your round! I’m hoping Santa brings me a double jogging stroller this year! I’m also going to follow you in twitter now! I am hoping for jewelry or lots of scarves and leggings! I am hoping to find happy memories for three little kiddos under the tree. Family and fun. I hope to find my dad out of the hospital for Christmas and my 8 year old niece make it through another brain surgery on Wednesday. peace, and me in my PJs eating donuts! I would love to have a new Iphone 5 or a trip to the beach. LOL. I would like a date night for Christmas! My husband and I will be celebrating our 15th wedding anniversary two days after Christmas. As long as my family is gathered around the tree, I don’t care too much about what I get. I LOVE watching others unwrap the gifts I give to them, though. I love seeing that they like what I’ve selected. Coffee … Sausage balls … Christmas music … PJ’s! Can’t wait! A gift certificate for a facial!! Ahhhh!! Smiles, excitement, and gratitude from my precious family. Hoping to see less indulgance and extravagance with a a replacement of more of what the Christmas season is really all about….the birth of The Savior of the World!!! An Ipad would be lovely! The only thing I want is to see my kids excited Christmas morning! I’m hoping for a new phone! I’m hoping my family can heal from the loss of our Grandpa last week,that my oldest son Jake makes it home from college in ND, that my youngest son Dylan doesn’t grow up too fast and that I remain married to Jared for another 18+ years. Looking to spend meaningful time with my 3 girls over Christmas break. I’m hoping to get some minions to do my bidding (specifically laundry would be nice)! I’m hoping for time off from work. I would like to SLEEP IN for Christmas!!! I am wishing for a new camaera that will take awesome pictures of my amazing 8 month old twins. 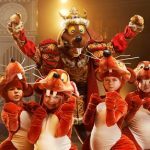 I am hoping to share this wonderful production with my kids and my niece! I just pray that all my family will arrive safely and that we can be together on Christmas to enjoy our 2 4 year old granddaughters and the 2 new ones that God has blessed us with this year. Real great design and fantastic subject material, practically nothing also we want . I’m hoping for a gift certificate to the spa! Peace and tranquility for our country! And, a Bestbuy card would be great! When our first daughter was born, my husband got me a very simple ring with her name engraved on it for Christmas. I’d love to have one with our second daughter’s name to match! And oh, we love the Nutcracker!!!!! Hoping to find lots of happy faces and maybe a little peace and quiet later for a nap! I am just hoping to make this a good Christmas for my 4 children. Their father died last year & I am hoping to lessen the impact of his absence. So I suppose all I want is no snow so we can travel to spend time with family. My sweet children… Happily enjoying the morning! what a wonderful way to make a memory with someone you love. I’m hoping to spend a wonderful Christmas with family, friends, and good weather! Tickets to see the Nuttcracker and dinner on the town would be a perfect gift! i’d love to find tickets to Disney World… Addie is just dying to see the princesses! I’d love to find smiling grandkids under he tree! I would like to win tickets to the Nutcracker! Peace, love, health & happiness! I would like to find a tropical vacation, I’ve never gotten to take my kids to the beach. I’d like to find a spa day certificate under my tree! I’m hopping to find new shoes!!! I’m hoping to find some date night babysitting and dinner gift certificates! I’m hoping to find money to pay for my new flooring being installed. I’m hoping for a smooth trip back home to see our family in Iowa, and some new clothes as I just had baby #3. I’d also love some good seats to the Nutcracker! My daughter LOVES the Nutcracker! I’ll leave a comment on FB and follow you on Pinterest. Honestly, after today’s tragedy, I just want my family together, safe and happy to celebrate Jesus” birth! I am looking forward to finding the fire pit that I know will be under the tree and having s’mores on the deck on Christmas Day!